First one I have for you is the epic Bandai Hobby Wing Gundam Zero Version. This for me is one of the very best Gundam kits on the market right now. 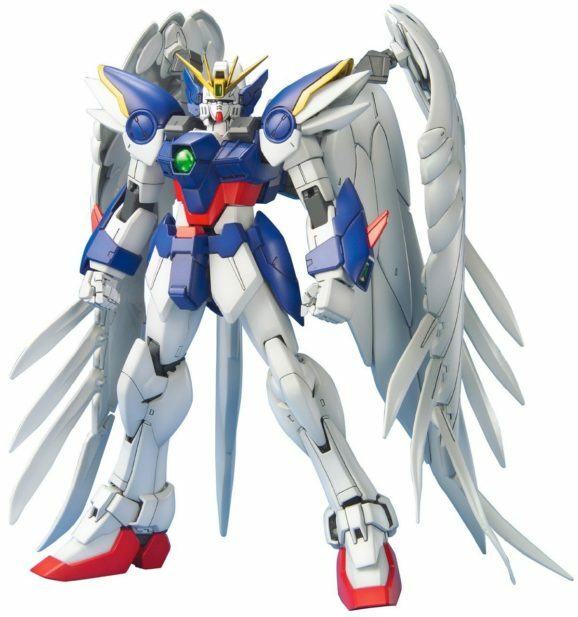 First of all they have really gone all out with this Wing Gundam Zero. It looks incredible and you will really love to have this guy standing with pride on your shelf. The angelic wings that this Gundam has really does give it a rather unique kind of look and I think that is why I think this is such a great Gundam. It does not have such a robotic look to it that some of the others do and I think that is really cool. One of the other things though that I personally feel makes this one of the best Gundam kits is the way it is so easy to build. There is no glue needed at all here. I know that this is the same for all the Gundam kits I have on this list. But I found this one snapped together very easily. All of the stickers and the transfers are also very easy to put on and the instructions make it very easy to know exactly where each one should go. One of my favorite aspects of Gundam is the video games! This particular figure is Sinanju as he looks in one of my favorite games on the PlayStation 3, Gundam UC. I think that badass is the best way to describe this Gundam figure and I knew the first time I saw this that it could be the best Gundam kit I had ever seen. This kit actually has some really cool features such as being able to move figures so you can give him your own cool pose. The beam rifle that this figure comes with is actually exclusive to this kit which I think is really cool. Actually the riffle, the shield and the other weapons make this one very action packed Gundam. Even a novice will not have any trouble putting this Gundam together. All of the pieces just snap into place and even the stickers are not going to cause you any headaches. Just make sure that when you peel them off the sheet you do it carefully so you do not rip them. This guy is usually available in the 60 – 70 bucks range and I do not think that is bad at all. Some people may say I am cheeping out by putting another Sinanju on here, but this is probably my all time favorite Gundam and I think this variation is really, really cool! I love the fact he comes with a beam riffle, gun mounted RPG and a couple of beam axes as well. This guy is ready for battle and just his overall demeanor is something I get a huge kick out of. 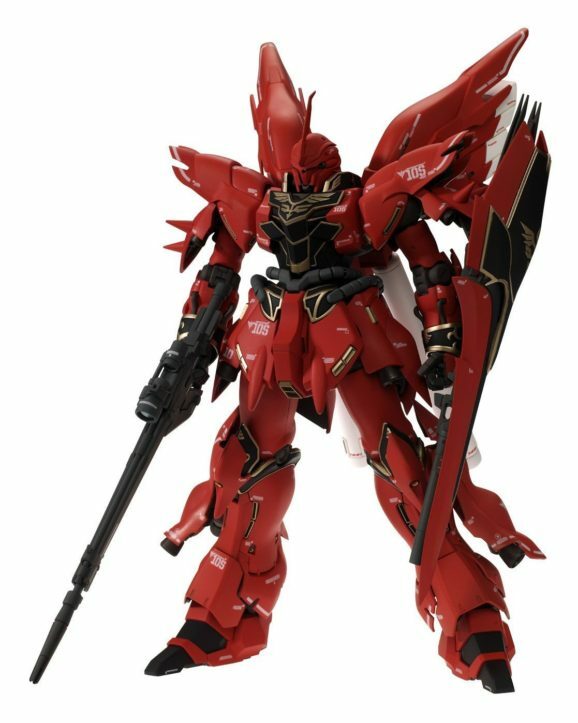 Also the wing blades that he has on his back is something that sets him apart from the other Sinanju that I have on this list. One thing I will say is that you will want to make sure you have your paint ready as to make him look just like he does in the pictures, you will have to give him a little bit of paint. Still this is a huge part of the fun! As well as painting, you will have to put this Gundam together. This is simple enough and will not cause you any trouble. Just cut the pieces from the runners and snap and place them together. This one does require a bit more artistic ability than some of the others on this list, but I think that is part of the charm of collecting and making Gundam kits. Taken from the Gundam Seed Destiny TV show this guy is just frigging awesome! This is the most “spectacular” Gundam on my list and if you want one that is going to really stand out on your shelf this is it. When you are talking about the best Gundam kit, this one has to be in the conversation. The firepower this Gundam has is just second to none. 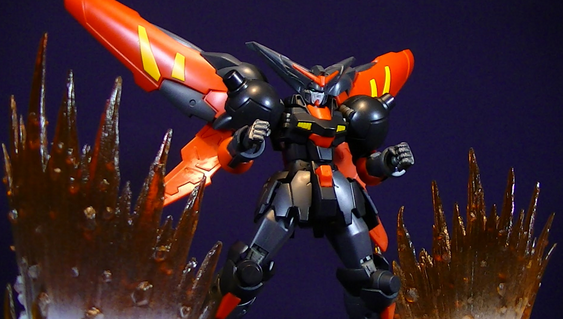 Dual riffles, rail guns, beam sabers and super Dragoon wings really do make this one fearsome Gundam. One thing to mention is that you can have the wings attached or detached. I think it looks best with them attached, but it does take up more shelf space in this form. Most of the plastic is colored so it looks great as it is, but if you do want to give it a little bit of paint so it completely replicates the way it looks in the TV show it will not be that hard. Building this Gundam is pretty simple and once you cut the pieces from the runners, you just put them together. If you want a Gundam on your shelf that is a little bit more awe inspiring then this is the Gundam for you. It can run close to 80 bucks so it is the most expensive Gundam on this list. This is a really cool Gundam that was made to commemorate the release of Gundam Seed on Blu-Ray. This is just such a great Gundam and one that many people just getting into the series will love. This is a Gundam that really does look awesome sitting on a shelf or even flying off your shelf! What I mean by this is that they have included this fantastic stand which looks like the bay from the Archangel Ship. The Gundam looks even cooler when it is on this! Also as an added bonus this Gundam comes with Mwu La Flaga and Kira Yamato figures who look great standing next to the Gundam. I do not see anyone having trouble piecing this kit together. There is not actually a ton of pieces to this and the ones that make it up are easy to remove from the runners and piece together without much hassle at all. I think it looks great out of the box, but if you do want to make it look just like it does in Gundam Seed then get the paint out and have some fun! 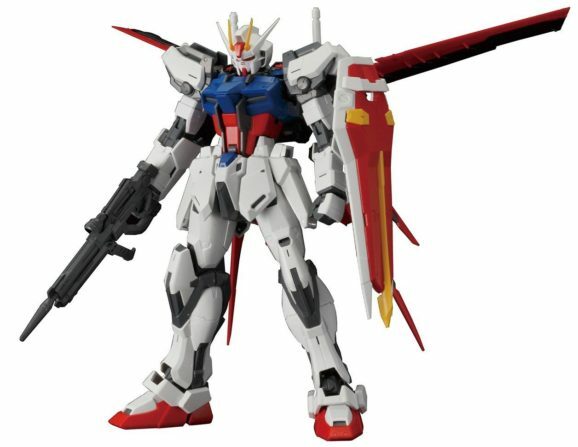 What Is The Best Gundam Kit? I hate to sit on the fence, but any one of these five would make for a great gift for a Gundam fan or even as a little treat for yourself. 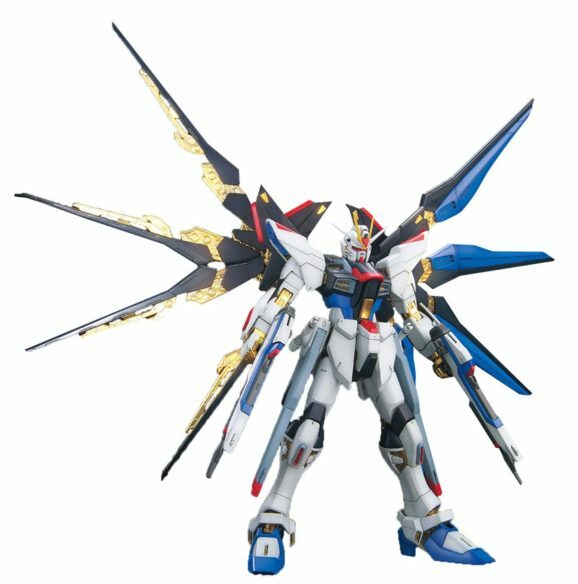 In all honesty none of these are hard to put together, but obviously the larger ones such as the Strike Freedom Full Burst Mode Mobile Suit Gundam Seed Destiny Model Kit will have more pieces and take a little longer. 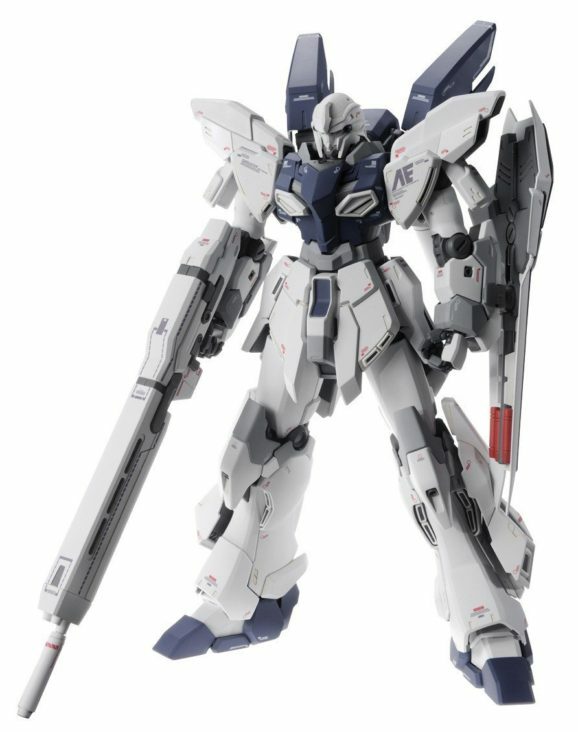 If I had a beam axe to my head and I was being forced to pick just one of these Gundam kits then I think I would have to go for Sinanju Stein Ver. Ka Model Kit Action Figure. But this is because I am such a huge fan of the video game this version of Sinanju is based on. If you are looking for the best Gundam kit then you cannot go wrong with any one of these five we have looked at today.